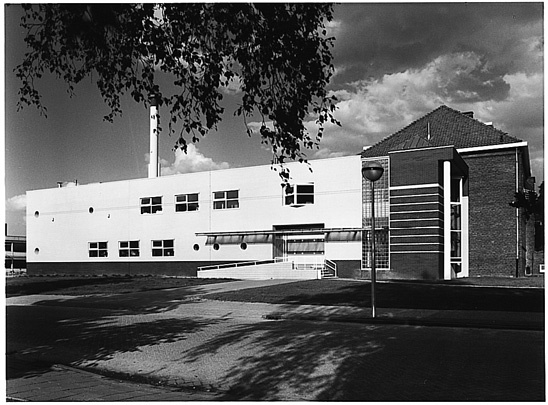 The Genetics building was enlarged in two phases by Baneke & Van der Hoeven. The first phase involved extending a villa dating from 1926 with a u-shaped feature, generating a patio. The second expansion in the northeast corner of the site is presided over by a practical wing beneath an undulating roof. A wide range of colours and materials prevails both inside and out. The Agrotechnion consists of an office slab on stilts, tucked beneath which are two red stucco lecture halls and a low-rise box of research facilities. The spectacularly outriding drum contains the staff canteen.